That’s actually good news. 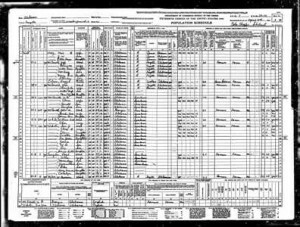 I just recently discovered that the folks over at familysearch have apparently made all the U.S. Census images available there and they can be viewed for free. Their search function is not as capable as the ones at ancestry.com and other pay sites but the price is certainly better. This was really good timing for me as I was nearing my disk quota limits on the site so I can save a lot of space by linking to the images at the family search site. The only downside is that if they ever change their url’s, all the links here (and there are a lot of them) will be broken. I’ve put enough information on the link descriptions so that, even if that happens, you should still be able to find the images on their site. Browse your relatives on the site and if you see this icon you can click it to view the census image. I am Jim Webster looking for a direct descendant of James Terrell Webster…. Deb Webster on I am Jim Webster looking for a direct descendant of James Terrell Webster…. When your mother asks, “Do you want a piece of advice?” it’s a mere formality. It doesn’t matter if you answer yes or no. You’re going to get it anyway.